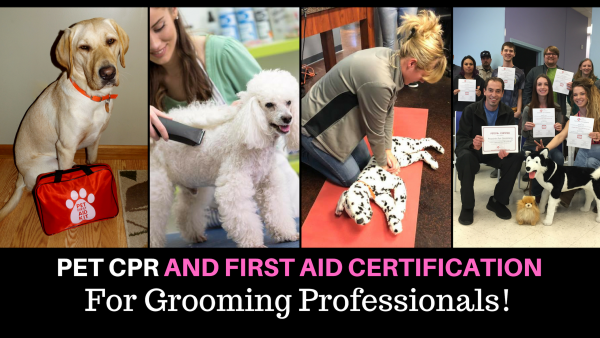 This course is a customized version of our PetCPR+ Certification program and is designed to train animal groomers, salon staff and owners how to manage medical emergencies that can happen in the grooming environment. 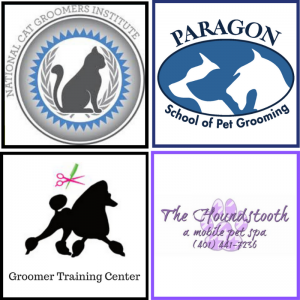 There are a number of injuries that can occur in a grooming salon such as heatstroke, lacerations from shears/clippers, stress anxiety and more. It provides the participant an overview of what to do in an emergency situation at the salon prior to obtaining veterinary care. How to manage and provide first aid for many common medical emergencies in a grooming salon including, skin lacerations, razor burn, heatstroke and more. Thank you to the following organizations who contributed to the development of this course and who utilize our programs to train and certify their staff, members and students.